“I’M the real Banksy,” says British artist Michael Shurman, straight-faced with a sense of enormous relief. Just four words into the interview and I’m hooked. Lured on the promise of ‘the biggest art story in half a century’ I headed into the Guadalhorce Valley for what would turn out to be one of the most surreal afternoons of my life. Miles away from anywhere, I met mysterious Brit Michael Shurman at his secluded hideout in the mountains. “Or should I say, I created Banksy and then it was stolen from me,” he adds. The 52-year-old artist, originally from London, claims he created the ‘Banksy’ persona in 2004. He purports that Banksy was stolen from him and then continued by ‘wealthy and powerful members of Britain’s art circle’. 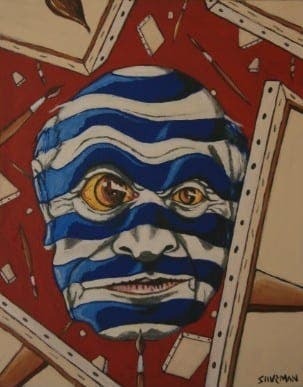 As a result, Shurman says that he has been ‘ousted’ by the British art scene and was forced to flee to Spain. “There are some very powerful people behind this,” he adds. “Everyone from art dealers to national newspaper editors are in on it. “People know I am the creator of Banksy, I have had over 120 works of art stolen over the last 10 years as everyone waits for the lid to be blown on this. 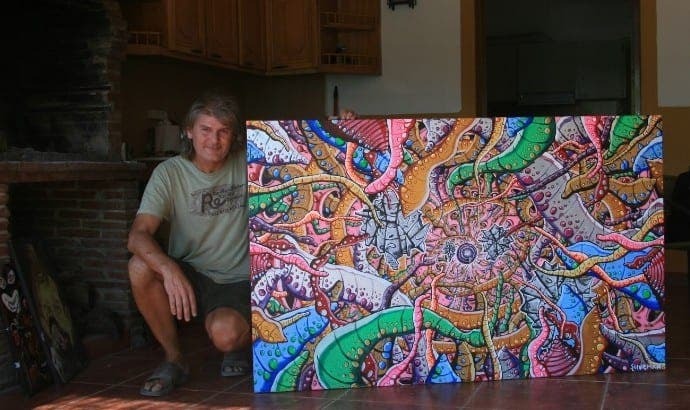 He adds: “I was banned from art galleries in the UK, commissions were mysteriously cancelled and I was not allowed to compete in national art competitions. “THEY ARE SCARED OF ME AND WANTED ME TO SLIP AWAY, BUT I’VE BIT MY TONGUE FOR LONG ENOUGH. Shurman claims to have invented the Banksy idea while he was living in Glastonbury. He claims that he first painted the image of alien heads in Bristol and Glastonbury in 2004, an image which has become synonymous with Banksy. “Banksy was my creation,” he adds. “Although at the time it wasn’t called Banksy, it was just something I was doing. Shurman, who moved to Spain in November 2014, said he has finally had enough and is ready to ‘expose those behind the con’. 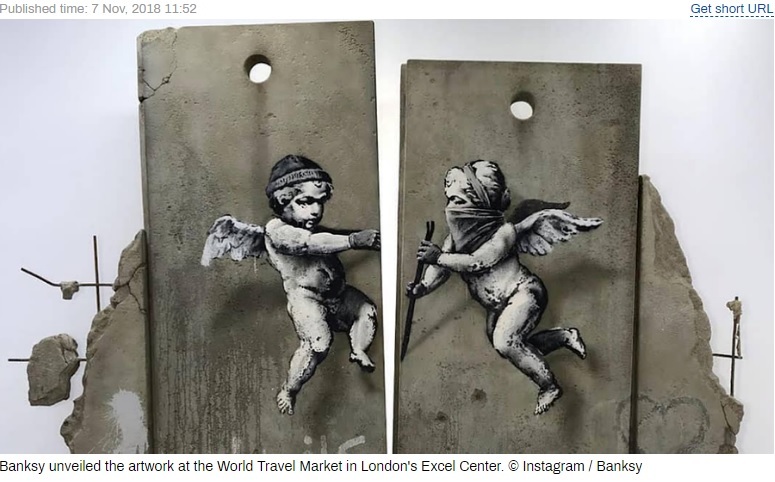 Although he says he is not scared of the Banksy operators he says he intentionally chose his low-key, off the beaten track home in Andalucia’s mountains so he ‘could not be easily found’. 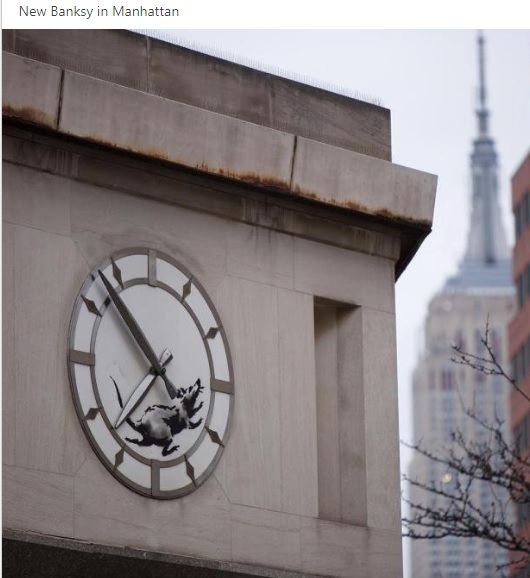 He is now in the process of selecting a lawyer in Spain to help him claim for damages against the people behind Banksy.